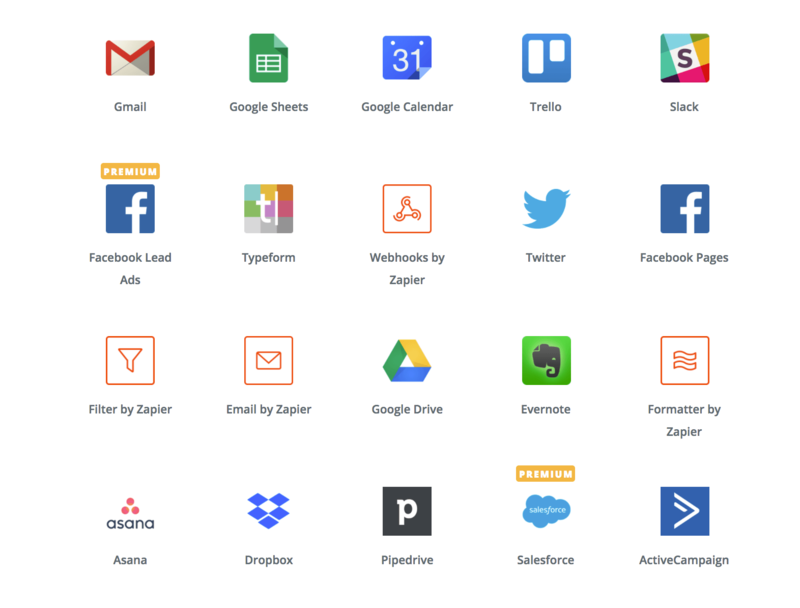 Zapier lets users create integrations that automate tasks between hundreds of web apps. 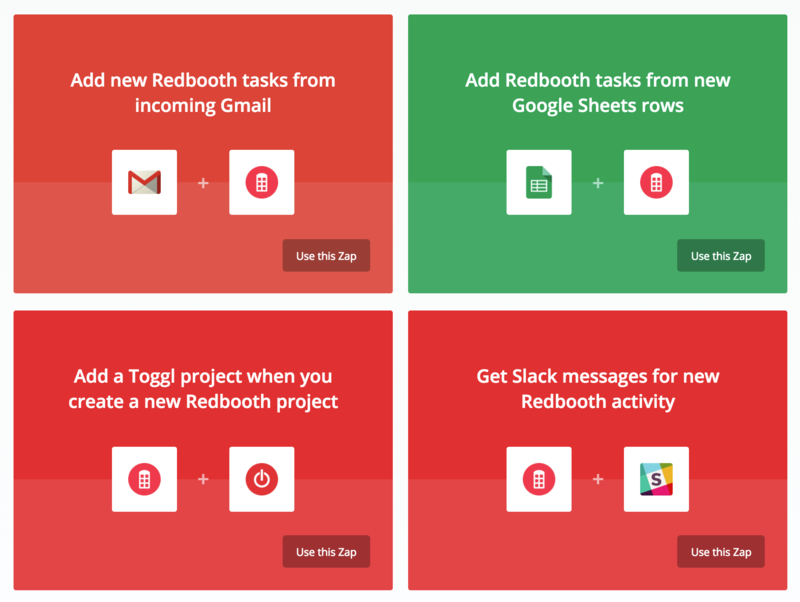 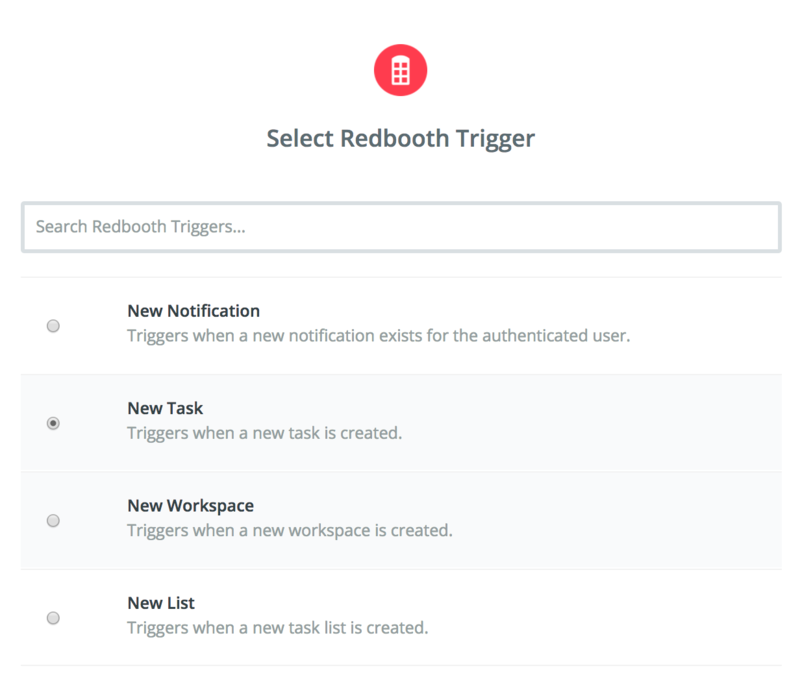 Connect Redbooth to your favorite tools to increase your productivity. 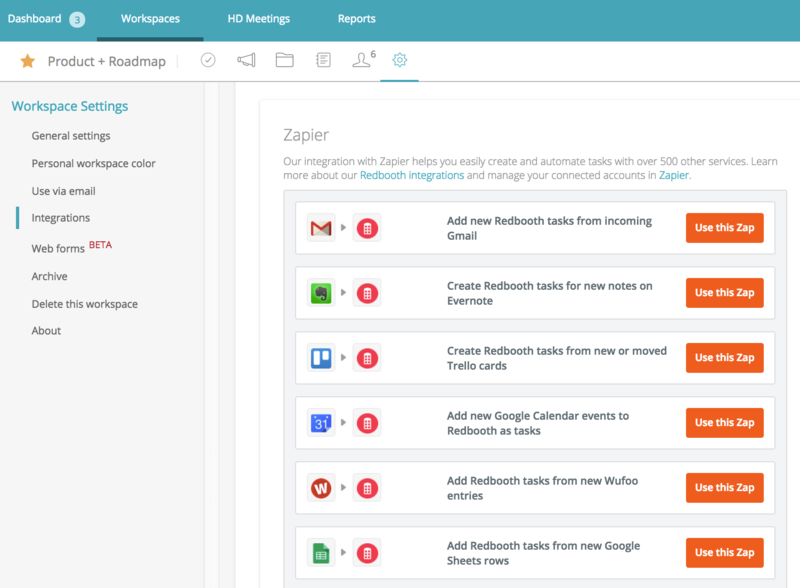 Learn more about the Zapier integration in our Help Center, or explore the many Zaps available for Redbooth by clicking below.